When you meet someone with a bright, natural smile, it catches your attention. 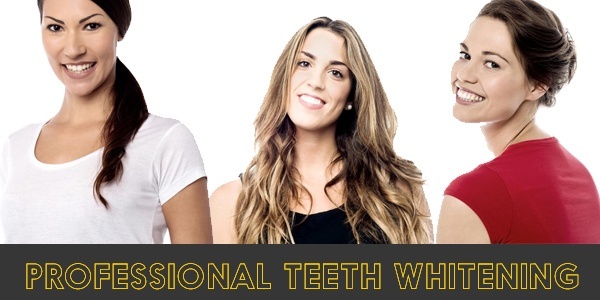 So it is no surprise that 62% of people overall feel more confident after having their teeth whitened, 64% appear to be more financially successful and in social situations, 68% appear to be more professional. At Soleil Tans in New Jersey you can now brighten your smile without the time and mess of traditional home teeth whitening products and without the expense of the dentist office. Over time, the natural aging process and your lifestyle can stain your teeth, and over time build up on the teeth causing them to appear yellow. Teeth whitening is a process of removing these stains from your teeth. 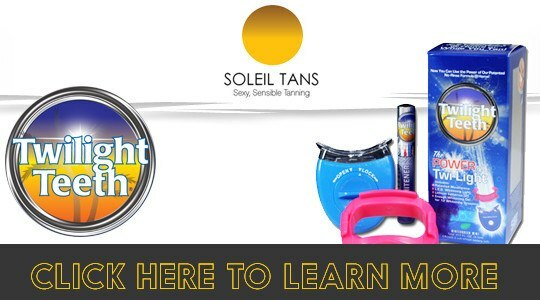 Soleil Tans uses a technology developed by Twilight Teeth, a privately-held division of a company that has long experience in cosmetic dentistry. Twilight Teeth’s extensive experience in dentistry provided the insight to create products uniquely suited for use in spas and salons. Most dental whitening services use hydrogen peroxide as the active ingredient in the stain removal process, but high levels of it can cause gum irritation and tooth sensitivity. Twilight Teeth has developed a stabilized form of peroxide that maintains a neutral pH thus reducing the effects of sensitivity on the gums and teeth. One session of Twilight Teeth will remove stains through the use of peroxide, at higher concentrations that can be used in over the counter products, with considerably less irritation usually associated with teeth whitening products. A specially developed light that activates the peroxide and speeds the process is used, so that whiter, brighter teeth are possible in 30 minutes.